Here at Gran Luchito we are fanatical about tacos! Travelling in Mexico and experiencing firsthand the unique tastes and variety of tacos available really ignited our passion. There is nothing quite like walking down a Mexican food street – oh the sights, the smells and the sounds (take us back!) With tacos in every restaurant and a prolific street food scene, you’ll find there are as many different types of tacos as there are regions in Mexico. With our guide to tacos we share some of our favourite tacos that have helped to inspire our recipes and products. First on our Guide to Tacos is Central Mexico. 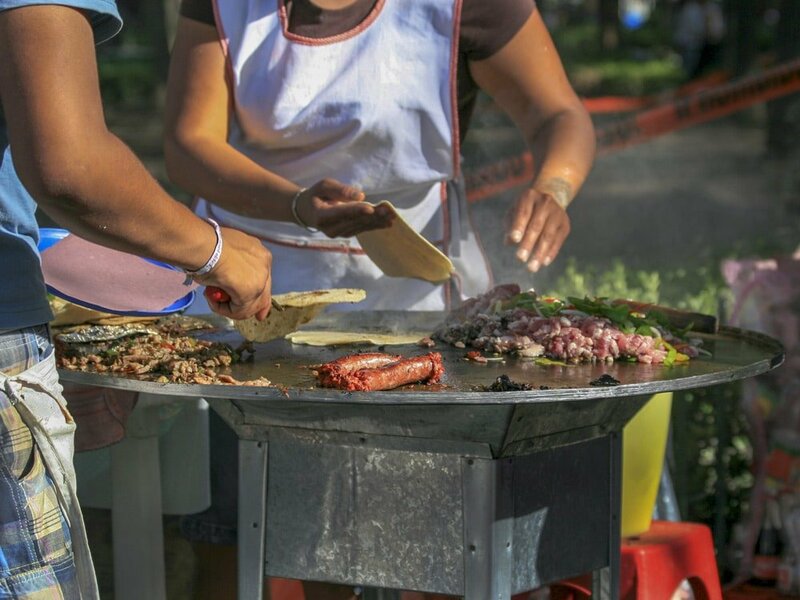 With Mexico City, Puebla, Tlaxcala, Hidalgo, Querétaro, Guanajuato, and San Luis Potosí, this region has some of the best foodie scenes in Mexico. Here you won’t want to miss Tacos al Pastor which are made with tender and delicious, marinated pork and grilled pineapple. Tacos al Pastor arrived in the 1950s with the arrival of Lebanese immigrants in Mexico. For Al Pastor, a shawarma style grill similar to a kebab spit-roasts the pork. 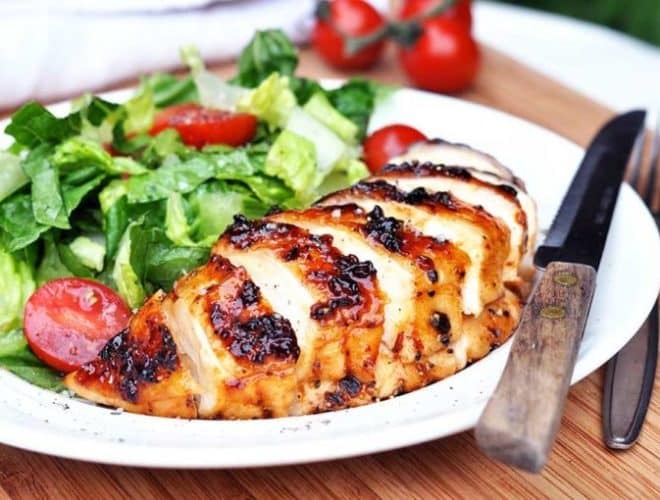 Aside from the cooking technique, we think the magic is in the marinade which has fresh pineapple juice and Guajillo chillies. Beware crispy, worm tacos: Tacos de Chinicuiles! Mexico City: El Buen Pastor, Tacos Orinoco, El Tizoncito, El Califa, El Huequito, Tacos Obregón, and El Farolito. Guanajuato: Tacos El Paisa, El Trompo de San Javier. The second region our guide is the Yucatán and the favourite taco here (and of our faves overall) has to be Pork Pibil Tacos. Delicious slow-roasted pulled pork with the beautiful flavours of fresh oregano and zesty orange. 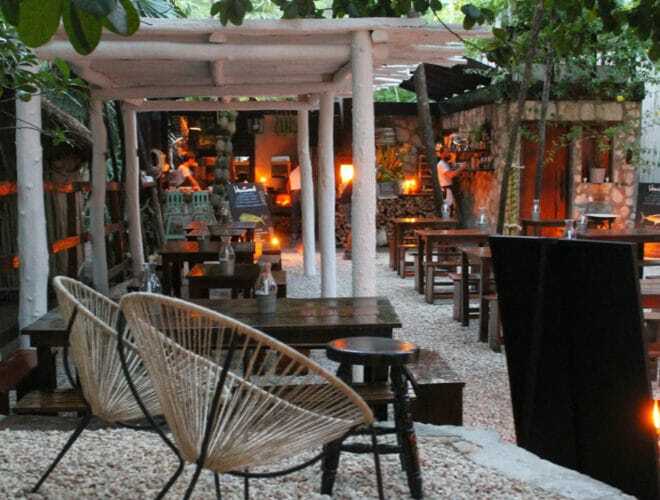 Be sure to check out our Things to do in the Yucatán if you decide to plan a trip there! Although most northern states base their tacos on red meat, Baja California is a notable and delicious exception. Here you will find their world-famous Baja Tacos which are fish tacos but there are many, many variations. Not to be missed are the Taco de Marlín! Other delicacies from Baja California include Lobster and Prawn Tacos, which are definitely worth to try. Next on our list is Northern Mexico. Corn tortillas reign supreme in most Mexico, but in the North it’s a different story. Due to its proximity with the U.S. border, you will often find tacos made with flour tortillas. Tacos usually contain beef cooked in a variety of ways with each Northern state having its own specialty. Our favourite are Tacos de Carne Asada found in Nuevo León which are delicious and simple grilled steak tacos with a topping of onion and cilantro. Further notable tacos in this region include Tacos de Machaca (dry beef tacos) and Tacos de Cabrito (goat meat tacos). Durango has its own traditional Tacos de Caldillo Duranguense (beef stew tacos), while Tamaulipas has Tacos Pirata (steak tacos with avocado and cheese). Next on our list is Western Mexico. Certainly this region is interesting because it offers the best of both Baja Tacos and Central Mexico Tacos. Nayarit is known for Taco Gobernador which was named after the Governor of Sinaloa, Mexico. The Governor stated that Pacific shrimp, melted cheese, tomatoes, peppers and onions was good politics! Jalisco’s notable taco is the Tacos de Birria made with mutton. You’ll find Tacos de Carnitas (fried pork tacos) in Michoacán. Finally, Colima uses the most bizarre parts of the beef (head, eyes, and tongue) to create exotic culinary delicacies. Last up on our Guide to Tacos is the southeast. Certainly the tacos here are for the adventure seeker! 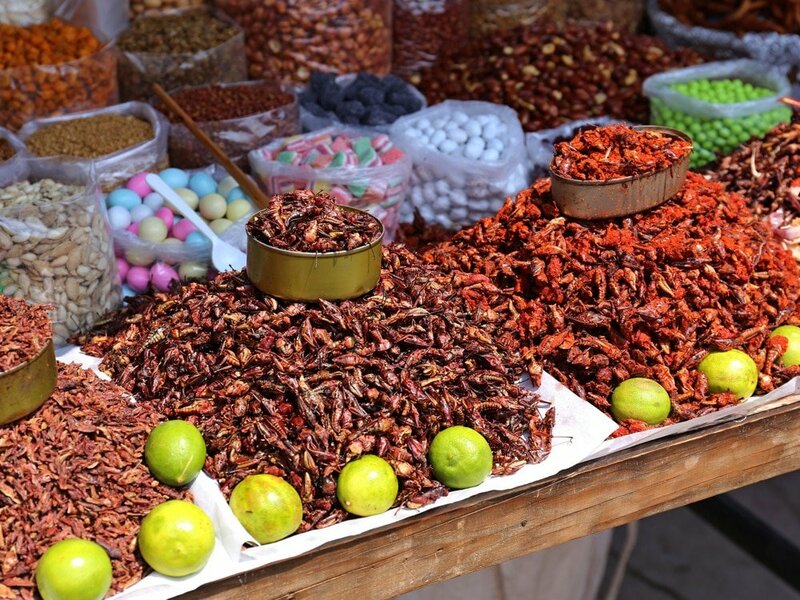 For example, Tacos de Chapulín (grasshopper tacos) which can be found all over the region and Tacos de Hormiga Voladora (ant tacos) which are served only in the state of Chiapas. Other choices that are only for meat lovers include Oaxaca’s delicious Tacos de Tasajo (dry beef tacos). We hope you’ve enjoyed the Gran Luchito Guide to Tacos and have inspired you to plan your own taco tour of Mexico! 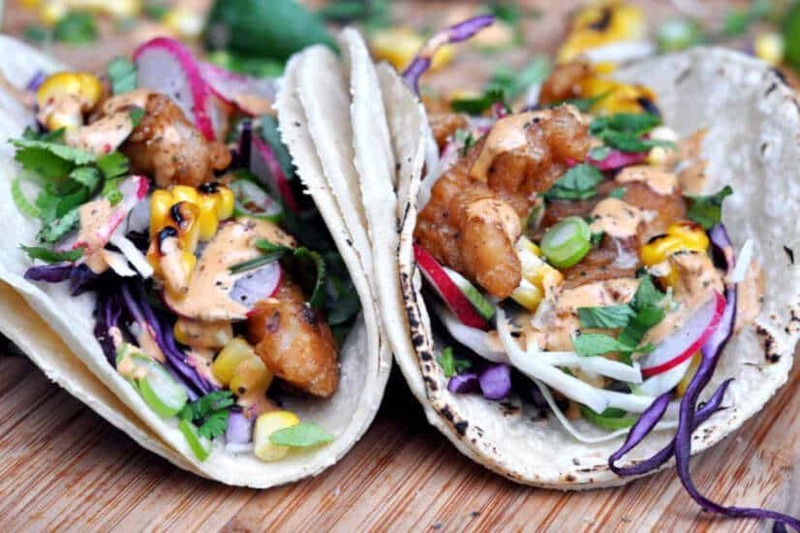 In the meantime, we have many more taco recipes to check and enjoy.